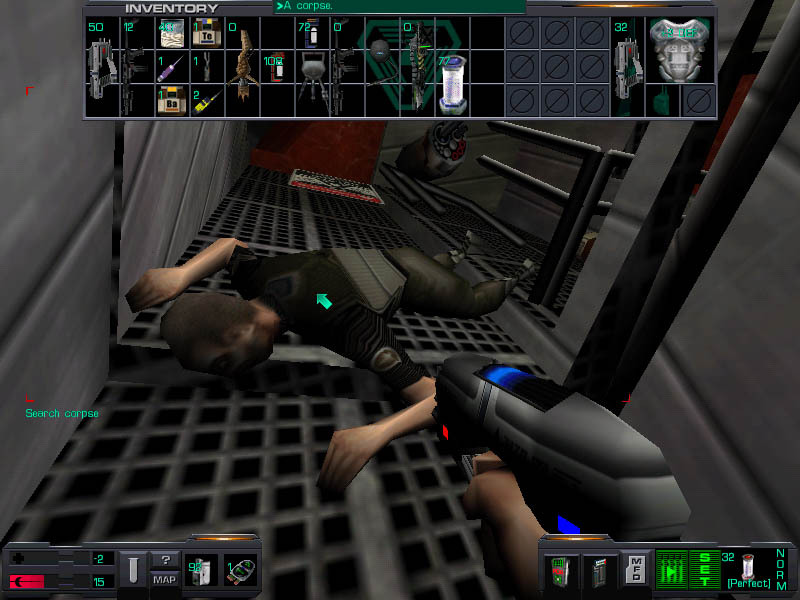 System Shock 2 begins with you being unfrozen from a long cryogenic sleep aboard the Rickenbacker, a security spaceship assigned to tail the Von Braun on her maiden voyage. Apparently, the Von Braun has been infested by an unknown alien race and has converted the crew into relatively intelligent zombies. You must gather bits of audio clips along the way to figure out what happened to your crew and, more importantly, how you can rid the ship of the aliens. Rely on your skills training from either the Navy, Marines, or OSA to guide you on this difficult path. This 3D title offers unbelievable graphics, as the Thief engine is utilized to provide mouth-watering environments and character skins. The astounding graphics, varied RPG elements, and fluid action make this title worthwhile.